For the last five Novembers, beards, goatees, fake mustaches and more, have made appearances on countless faces across KPMG. From our most senior leaders to our recent college graduate new hires, we have seen a fair share of hair – to remind our colleagues affected by cancer that we care. 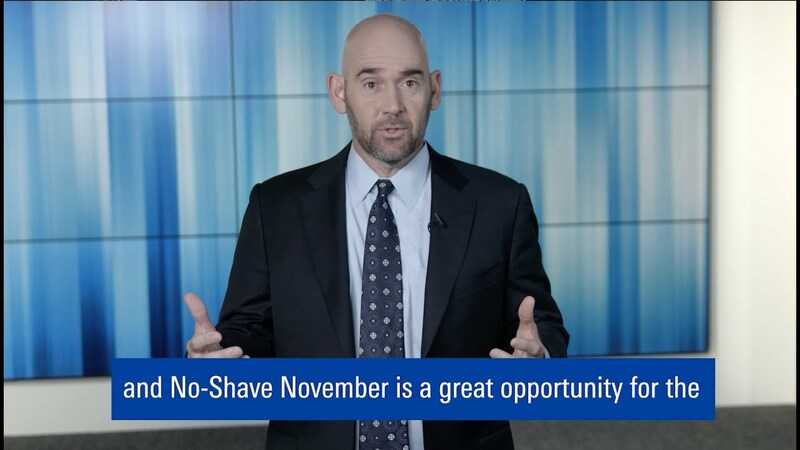 “No-Shave November is just one example of how we’ve created a culture of giving back and continue to come together to support one another, especially in difficult times, ” explains Carl Carande, Vice Chairman, Advisory, and partner champion for No-Shave November. Five years ago, Rob Coble, one of our Advisory partners in Atlanta, was diagnosed with cancer. Coble became active with the No-Shave November organization, which raises funds to benefit cancer awareness, education, research and prevention. His colleagues quickly followed suit, sporting ‘staches and donating nearly $50,000 to No-Shave. Every year since, our participation in No-Shave November has grown bigger, with KPMG raising over a half a million dollars for the organization to-date. Sadly, Coble, who was with KPMG for over 30 years, passed away in March of 2017, but the cause he passionately believed in continues to help others. A team based in Montvale, N.J., organized a special “Hair for Weir” campaign as part of this year’s No-Shave November efforts, to support colleague Will Weir, who is battling Stage 4 cancer. Upon donating, Weir’s teammates provide fake mustaches and encourage their coworkers to post their photos online. “We are doing this to let Will know that we are here for him and that no one fights alone,” said Charlotte Bonomolo, one of his colleagues. For more information, please contact Joy Belgiovine. CEO Lynne Doughtie and Olympian Laurie Hernandez met with UNESCO’s Irina Bokova to promote education.